I like all of my documents and work offers are in one central location. For a position that travels and like my position does, it would be more beneficial to have a better mobile app. I hate that it only lets you clock in and clock out instead of input times like the desktop version. It makes it easy for leadership to see how much overtime is being worked on by employees. Which is much Better than our personal spreadsheets we kept when we were salary. This also assists employees in realizing when personal limits are coming close to being met and time off is much needed. In turn, this somewhat helps in employee self care and longevity. "Greenshades gets the job done quickly, efficiently, and easily. " I like having all my forms available online and it's easy to access. I also like how the app operates. I am able to view my tax forms as well as clock in hours while I am away fro my computer. When a tax form gets loss in the mail, greenshades allows you to access it online. When I do not have my computer on me, the app on my phone allows me to complete what I need to on time. he two-second verification factor allows me to quickly be able to log into greenshades from whatever device. You are able to save the document easily on your phone from the app and it is not complicated. While getting my taxes completed, I was able to quickly get all my documents uploaded and saved to my phone and email it my accountant. When applying for loans, I was able to get my previous pay stubs quickly sent over to my banker, the app was allowing me to send over the right information needed. "Works just fine for a Timesheet program"
The ability to copy a past timesheet and use it again. It's a little cumbersome. It involves quite a bit of clicking and selecting to account for odd time input. If you are looking for a relatively simple and working web-based payroll software for a lower cost, this will work just fine. Is it the best thing I've ever used? No, but it's a timesheet system, it doesn't have to solve quantum equations for me. It could be a little less cumbersome to enter in work hours, but it's not rocket science. The really nice feature is the ability to copy previous timesheets! If you work the same schedule week in and out, then just copy and re-use the same one over and over again, you'll be done in no time! We went from paper timesheets to a web-based program. It was a big step into the next century! I have used Greenshades since May 2016. I love the program and everything it has to offer. You can access your paystubs which include hours worked, CTO occurred, CTO used, past paystubs, and just so much more. This program is great because you can sign in to the program anywhere as long as the verification process checks out. There is nothing about this program that has me thinking negative of the product. There are only good aspects of the program. I have read other reviews that state negative aspects, but I have to disagree with ALL of them. I love green shades and would not suggest any recommendations. I think the program is great. Having this program, it makes it easy to track pay stubs both current and past. This has made it more easy for the employees of the company to access anywhere and anytime. This aspect, in return, have made it easier on our secretary. Also with the amazing benefits administrative part, it makes it easier to let the employee know weather or not they have benefits available to them, it makes it easier to sign up for the benefits too that our company has to offer if they are elligable. "Greenshades gets the job done, but it is not super user friendly." I like that there is an app, although you cannot do some features through the app. I dislike the time and attendance feature. I wish it would automatically fill in the end date for you because most time entries will be done on the same day. There are other vendors out there, so I would shop around. But, my guess is that Greenshades is a lower cost options and it does get the job done. We are solving the old way of using paper time sheets. Now, employees can simply login to the app or the desktop version and enter their hours. Also, the ability for supervisors to approve multiple time sheets at one time is nice. "All my personnel info easily available"
The interface seems a bit outdated but the functionality it great. Great layout with easy to find links to whatever you are trying to access. Inability to print more than one pay stub at a time or compare different weeks or w2s side by side. Built in, affordable way to manage time clocks and paystubs in the same program. It’s very convenient! I’ve never had an issue with figuring out how to view pay stubs or pay history. Everything is laid out on the site nicely. My sign in acted up a few times. My personal email wasn’t connected somehow. Either way once it worked out there were no issues. It was really good for the company I worked with. There’s about 300 employees at the company and it’s benefeicial to have an online way to check pay, PTO, etc. It is a quick and easy to use. I can manage my employees. Approve time sheets is easy online. 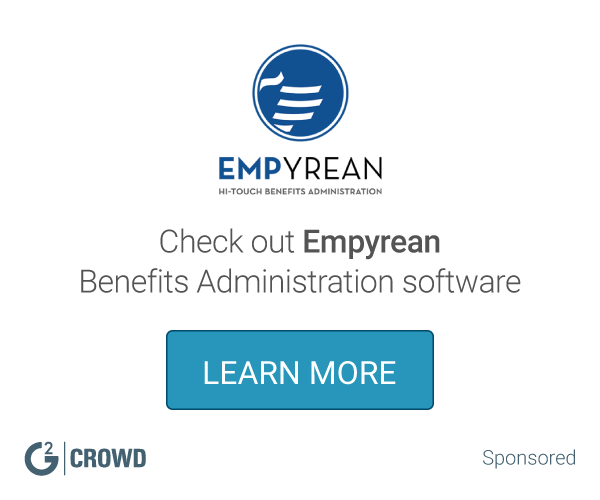 "Strong Product for Benefit Management and Changes "
This product has proven a useful portal for internal employees and external consultants to track payroll and manage benefit elections. It can be a little clunky sometimes, slow to load pages and get a bit jumpy on occasion. Updating the UI to a more modern look could draw in some more people. Effective central repository for benefit and payroll information. The training during implementation was great. They were always professional , knowledgeable and very helpful! We needed a more streamlined HR system- now I have info at my fingertips! Greenshades is a very easy way to maintain the payroll within the company. Defiantly use green shades especially if you are a startup company like myself as it helps you focus on other things instead of worrying about paying. "Does what it should do"
The directions were easy to follow. I received my tax form with no difficulty. I did not have a problem with anything!! Effective in getting tax forms to employees via mail or online. "Great integration with Dynamics GP"
Good Time keeping system that integrates into our payroll system and payroll tax system. * We monitor all Greenshades reviews to prevent fraudulent reviews and keep review quality high. We do not post reviews by company employees or direct competitors. Validated reviews require the user to submit a screenshot of the product containing their user ID, in order to verify a user is an actual user of the product. Hi there! Are you looking to implement a solution like Greenshades?